The four-light pendant offers a sleek metal frame that supports a low-slung shade to create Ratios casual modern style. The frames proportion to the white linen drum shade evokes a perfect ratio for lighting. Includes a polished glass exterior, etched glass interior diffuser that offers an elegant appeal and is easier to clean offering both fashion and function. 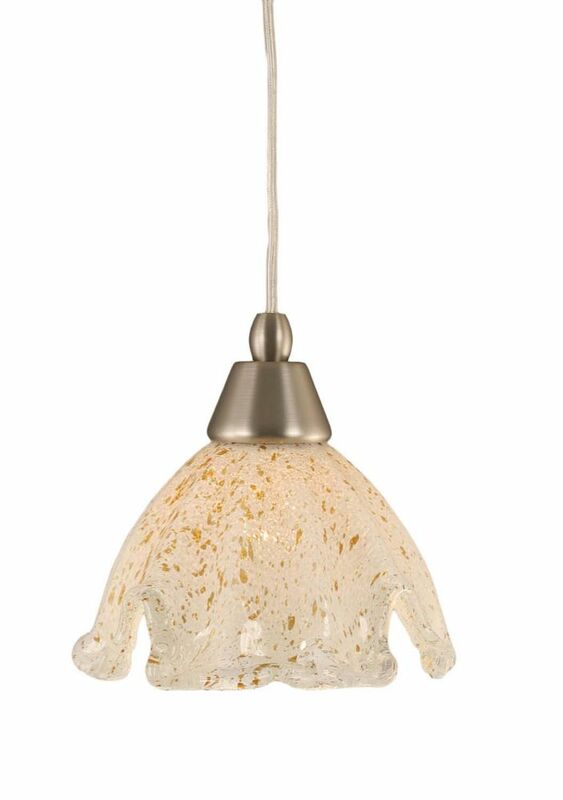 Concord 1-Light Ceiling Brushed Nickel Pendant with a Gold Crystal Glass The cornerstone of the concord Collection is quality, and this pendant is no exception. Combining a classic brushed nickel finish and posh styling, you will find no better way to highlight the charm of your home. With the superb craftsmanship and affordable price this fixture is sure to tastefully indulge your extravagant side.